Paultons Park is a popular theme park set among 140 acres of the beautiful New Forest National Park. With over 70 rides and attractions Paultons certainly offers fun for the whole family including an exquisite range of beautifully themed gardens. As well as the stunning and spacious main garden featuring large cedar treesthat are over 160 years old and some lovely flower arrangements, the Park also maintains a delightful range of themed topiary set among popular gardens including the Snakes & Ladders Garden and the Forest Friends Garden. Adjacent to the Park entrance is John & Anne’s garden, a bright and beautiful garden created in remembrance of the founders of Paultons Park. 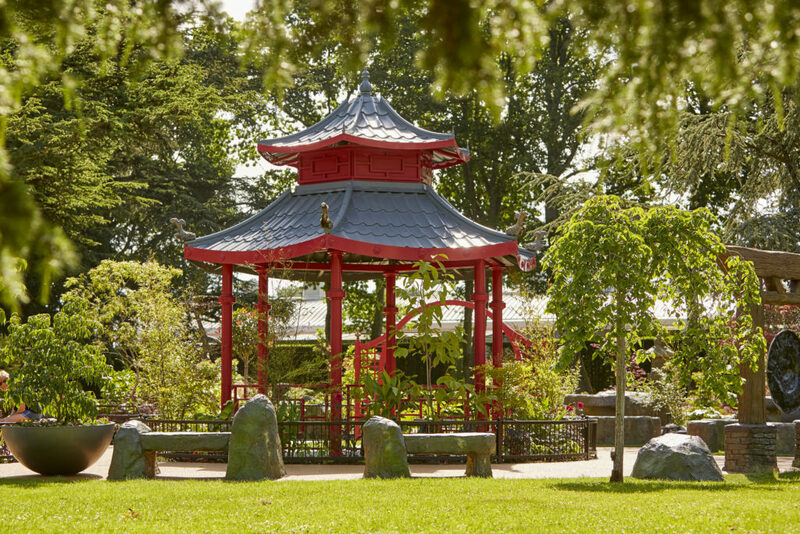 The Japanese Garden is the newest at the Park, it features water, stones and many beautiful trees that provide a great sense of tranquillity and relaxation away from the excitement of the rides and attractions around the Park.